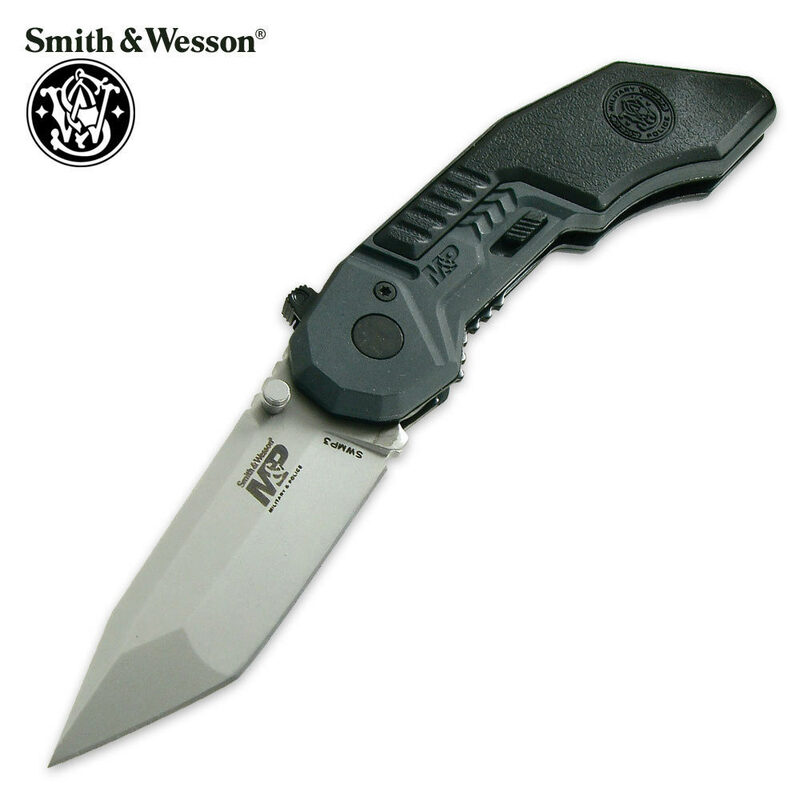 The Smith & Wesson MP Series Three folding knife is equipped with a 3" tanto blade constructed of stainless steel with Smith & Wesson MP etching. 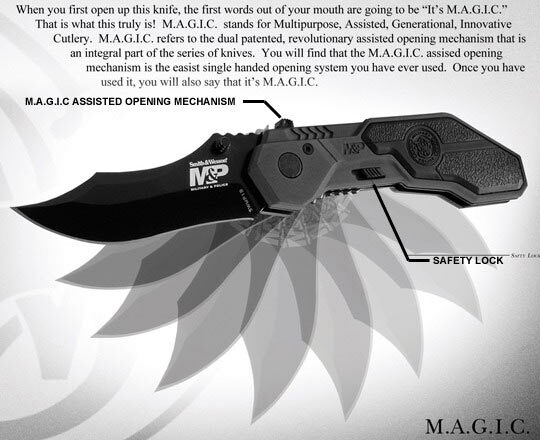 The T6061 aircraft aluminum handle has a unique M.A.G.I.C assisted opening mechanism. Includes a thumb stud. 4 1/4" closed.